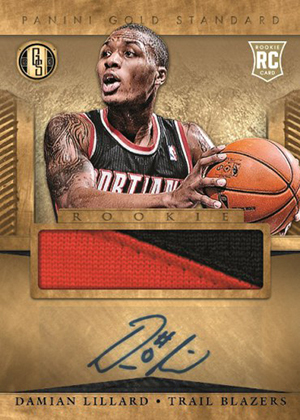 Because of his exclusive autograph deal with Leaf, Panini wasn't able to produce autographed rookie cards of Damian Lillard in several sets. 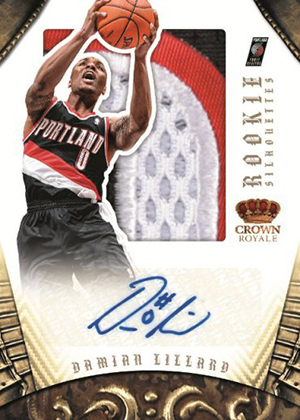 Now that the two card companies have worked out a agreement for a limited number Lillard autographs, Panini is revisiting some 2012-13 basketball sets to create new cards of the NBA Rookie of the Year. 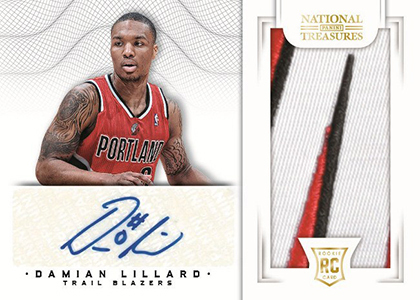 Rather than inserting them in packs, the new Panini Damian Lillard autographed memorabilia cards will be available via a wrapper redemption program. 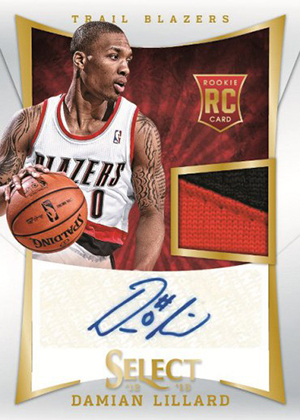 Cards will be distributed randomly in a pack so collectors won't know which card they're getting until they open it. 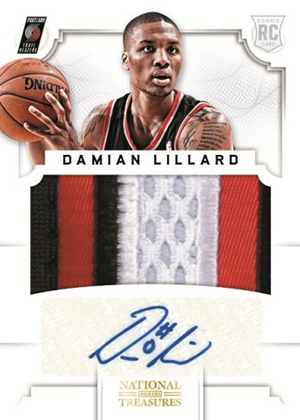 Based on current eBay prices and depending on the product, it would cost about $800-$2,000 to buy enough boxes to get one of the cards. Collectors must include the wrappers, box UPC codes and purchase receipts in order to qualify. Cards are available while supplies last. There is a limit of ten redemptions per person.